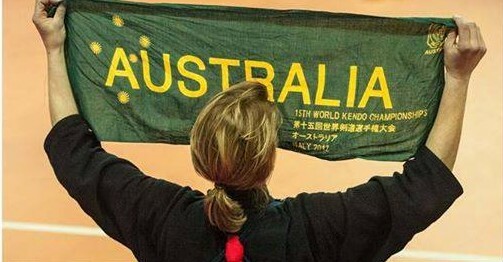 In May 2015, the Australian Kendo Team made up of about twenty AKR members, the Team Coaches and Manager and a support Delegation, will head to Tokyo for the 16th World Kendo Championships. Nihon Budokan, in the centre of Tokyo, The venue for the first World Kendo Championships and now, forty-five years later, the 16th World Kendo Championships. Here’s a video to inform and excite potential donors! Note that all the funds raised from these efforts go entirely to the Australian Kendo Team members. The AKR Delegation travel costs are separate. Wei Ding, New South Wales, Australia. Shogun kendo equipment. Shogun Kendogu also offer all AKR Team Supporters and members a 5% discount on purchases. Enter the coupon code SGK-AKR5. Phillip Uzunovski, North Strathfield, NSW. Keiko Tredinnick, Middle Cove, NSW. Andrew Duell, in memory of Tracey Duell. Red Hill, Qld. Shogun Kendogu also offer all AKR Team Supporters and members a 5% discount on purchases. Enter the coupon code SGK-AKR5.